THE GOG BLOG by Rory Spears, Editor and Director of Content. 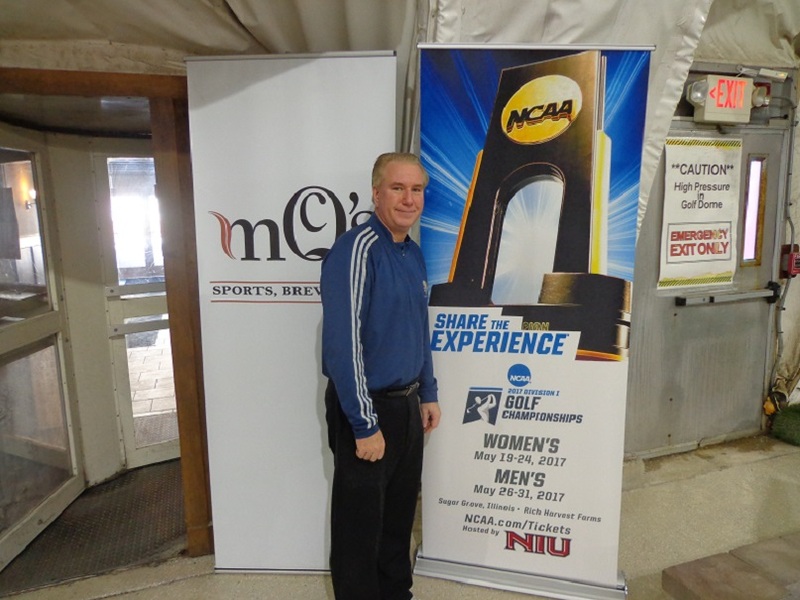 Follow Rory on Facebook, Linkedin and Twitter @GogBlogGuy and to the NCAA Golf Championships at Rich Harvest Farms. 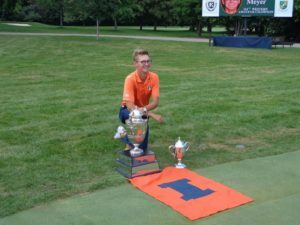 The Fighting Illini have done it again, make it three straight B1G Ten titles for the men’s golf team. The winning score of of 11 under par 829 sets a new Big Ten record, breaking the old record of 838 set by Illinois last year. Junior Dylan Meyer shot a final round one under par 69, to finish the championship at 5 under par, and win the individual title by 1 shot. Meyer set the tone for the Illini with his opening round 7 under par 63, a personal best and a Big Ten record. On Friday it was Juniors Meyer and Nick Hardy (-3 67) that got Illinois going, and had the Illini up 13 shots after one round. The lead became 20 shots over Purdue and Northwestern after round 2, when the underclassman stepped up to carry the team. Edoardo Lipparelli’s 4 under par 66 lead the way, with Freshman Michael Feagles coming at at 69. The juniors Meyer and Hardy were back in the 60’s on Sunday to wrap up the championship. Northwestern was second, but 16 shots back of Illinois at 845. 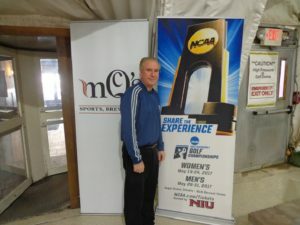 Click here to hear our interview with Illinois Coach Mike Small from Baltimore, after winning the Big Ten title. Small has now won eight Big Ten titles as the coach of the Illini, and one as player in (1988). Small called a 16 shot win in the Big Ten Championship as “significant”. The championship was played on the Baltimore Country Club’s East Course known as Five Farms. 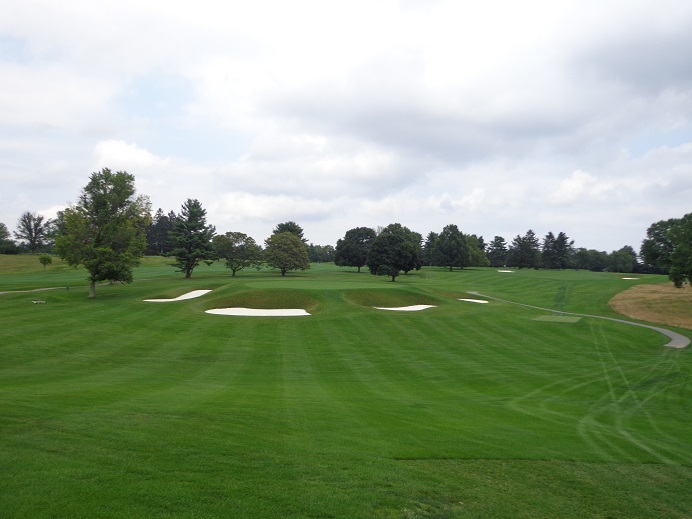 The course was designed by AW Tillinghast and underwent a restoration by architect Keith Foster in 2014. The yardage was 7,181 and the par was played at 70. Illinois will be awarded a spot in a regional this Thursday during the selection show. There are six regionals. If Illinois is in the Top 6, ranked teams, they get to go to the regional closest to their school. In this case the Purdue University Kampen Course. Regional play will be held from May 15-17. Mike Small will throw out the first pitch along with Luke Donald on Thursday at Wrigley Field, after the regional announcements. 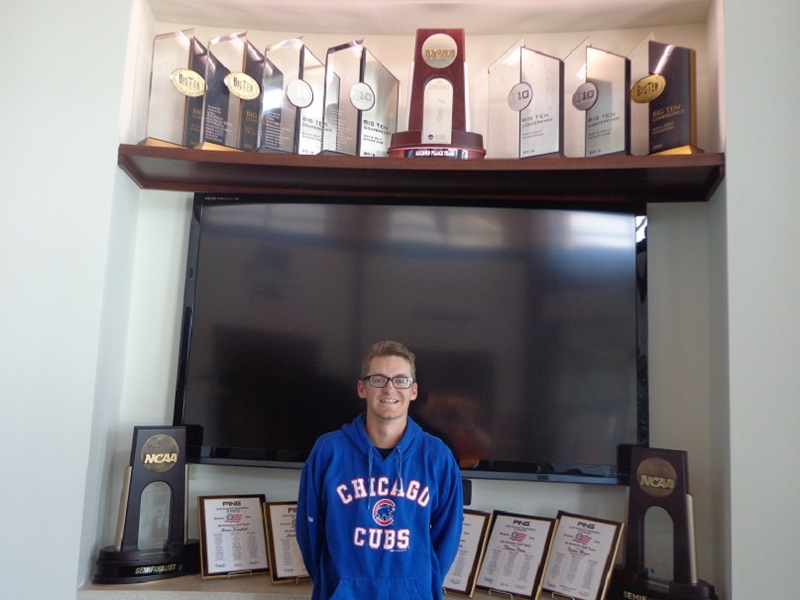 College golf is heating up as the Road to Rich Harvest Farms is now packed with schools fighting to make it to Sugar Grove in May to compete for the national championship. This weekend is no different as on the men’s side, conference championships are being held across the country. For the B1G Ten, this years competition is on the Baltimore Country Club’s East Course, called Five Farms. Illinois led by Dylan Meyer, Nick Hardy, Edoardo Lipparelli, have a 20 shot lead after 2 rounds. With 18 holes left to play. The par 3, 4th hole at Baltimore Country Club, home of the 2017 B1G Ten Men’s Championship. The Illini shot -1 as a team in Round 2 that helped them open their lead from 13 shots up to 20, heading into the final round. It was Edoardo Lipparelli who led Illinois with a 4 under par 66 in round two, after first round leader Dylan Meyer backed up from 63 to 73. Lipparelli is the overall leader and Meyer is in second place, Hardy sits 7th after a 74. Illinois got solid play from Giovanni Tadiotto 70-71, and he is tied with Hardy in 7th place, while Michael Feagles is in 24th place after a second round 69 (-1). Northwestern and Purdue are tied for second place 20 shots back of Illinois (548) at (568). Wisconsin sits another 4 shots back at (572), in fourth place. NU Coaches David Inglis and Pat Goss are liking what they see from the Cats who will battle with the Boilermakers for second place in the final round. Ryan Lumsden with a pair of 69’s (-1) is leading Northwestern. The men’s regionals will be announced this Thursday, and Coach Small will be speaking at Wrigley Field before the Cubs and Phillies game. THE LADIES..had their Regionals announced this past Thursday. NU Coach Emily Fletcher and her lady Wildcats are off to Athens Georgia, and the University of Georgia golf course. NU comes in as the #3 seed. Coach Renee Sloan and her Illini team are off to the University of New Mexico on the Championship Course at UNM. Illinois is the #8 seed and only 6 teams will advance to Rich Harvest Farms. UNM will have several top teams in it’s field, and UNM could be the toughest road to RHF. Women’s regional play will be held from May 8-11. THE GOG BLOG RETURNS on Sunday with a recap of the Men’s B1G Ten Championship at Baltimore Country Club. 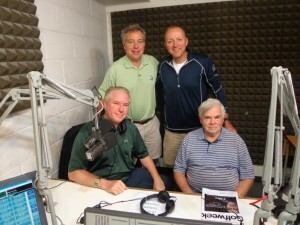 GOLFERS ON GOLF RADIO is Standing L-R Mike Munro and Ed Stevenson, Seated L-R Rory Spears and Bill Berger. GOG RADIO Saturday Mornings at 9 Am on AM 750 WNDZ. 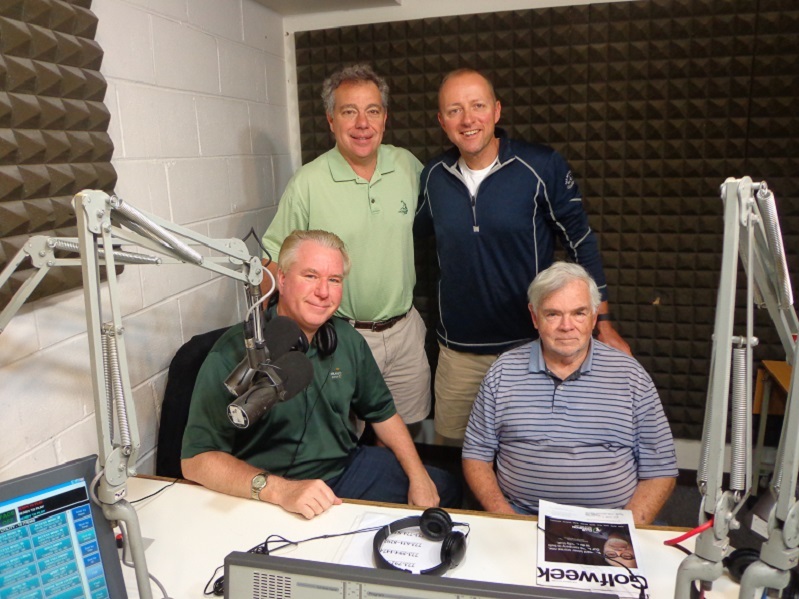 Golfers on Golf Radio is back for Week #3, on Saturday morning at 9 AM, on AM 750 WNDZ. Our guests include Chicagoland Golf Publisher Val Russell, and Gary D’amato writer from the Milwaukee Journal Sentinel. Along with news from various golf events and the tours. The B1G 10 Men’s Conference Golf Championship is underway at the Baltimore Country Club’s East Course known as Five Farms. Junior Dylan Meyer shot a 7 under par 63, and Junior Nick Hardy shot a 3 under par 67 as Illinois opened up a 14 shot lead over Ohio State and and 15 shot lead over 3rd place Purdue. Tournament play concludes on Sunday, with 18 holes on Saturday and Sunday. 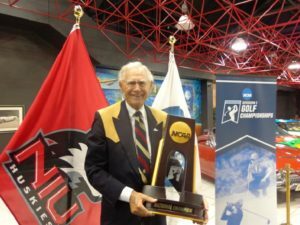 ILLINOIS GOLF HALL OF FAME, the finalists list has been made public, and due to ties there are 12 finalists this year. They include. 1, Doug Bauman, 2. Emil Esposito, 3. Gary Groh, 4. Gary Hallberg, 5. Phil Kosin, 6. Greg Kunkel, 7. William Langford, 8. Carol Mann, 9. Francis Peabody, 10 Gary Pinns, 11. Horton Smith, 12. Len Ziehm. Final voting is on May 23rd at the Glen Club the home of the Illinois Golf Hall of Fame. The Women’s KPMG/PGA Championship this June 29-July 2nd at Olympia Fields, tickets on sale now. The KPMG Women’s PGA Championship that will be played at the Olympia Fields Country Club the final week of June and Rounds 3 & 4 on July 1-2. has announced that Czech golfer Klara Spilkova has accepted a sponsors exemption into the field. Spilkova has won one tournament in play over-seas. Tickets for the championship are on sale now. Come out and see the championship live on the Southside. It’s a great opportunity to Olympia Fields one of the great clubs in the Chicago area, and in all of America. For tickets see KPMGWomensPGA.com of look for the championship on social media sites like Facebook and Twitter. IT’S outdoor Demo day at Cog Hill today Saturday from 9 AM to 3 PM, event will be held rain or shine. Come hit the clubs by all the major manufacturers, discounts for those who purchase and buy while at demo day. Check with the equipment reps and Cog Hill pro staff for more details. See Coghillgolf.com. Callaway-Titleist-Taylor Made, Ping and more. Join us on the air, tee time is 9 AM, at Am 750 WNDZ. The Gog Blog returns tomorrow. IT WAS TIME for a Senior Women’s Major Golf Championship, and the French Lick Resort along with the Old National Bank has stepped up to the tee and made it happen. 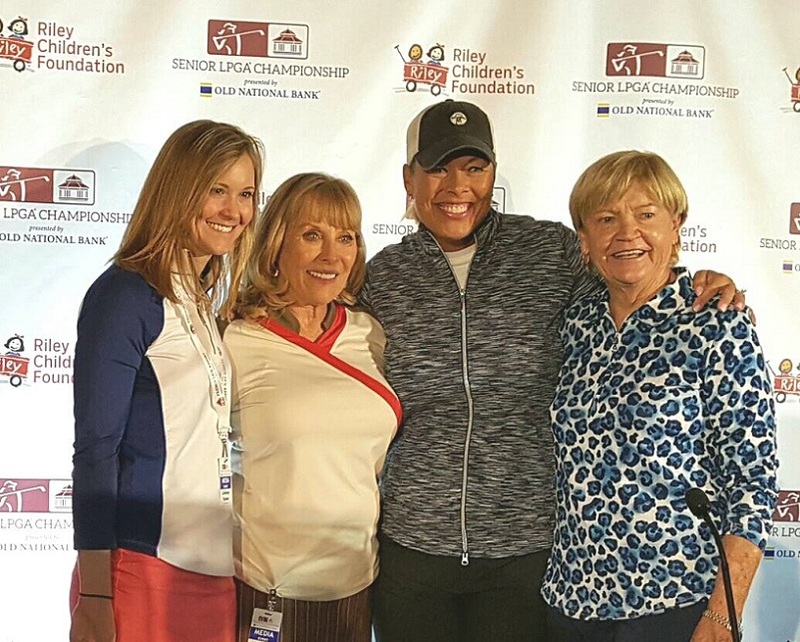 This July 10-12, on the Pete Dye Golf Course, the field of 81 players will embark on a journey that will bring senior major championship golf to women of age 45 and older. The Sr. LPGA Championship comes to the Legends Tour before the U.S. Sr. Women’s Open that will be contested for the first time at the historic Chicago Golf Club in July of 2018. The Sr. LPGA Championship has a Five-year deal with the resort and the Golf Channel. The Pete Dye Course at the French Lick Resort. The 81 player field will consist of a variety of the, “Whose-Who” in women’s golf. Including LPGA Hall-of-Famers, some current LPGA members and major champions over the age of 45. The championship will be 54 holes and include a purse of over $600,000. There will not be a cut. 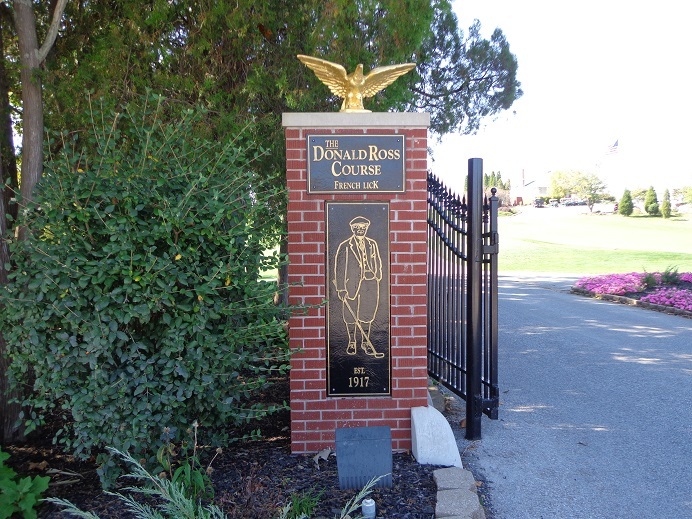 The entrance to the now 100 year old Donald Ross Course in French Lick. In addition to major championships, there are two tournaments as part of the celebration of Women’s golf. The Symetra Tour will begin the Sr. LPGA Championship week, as the two tours bridge the gap in women’s golf. 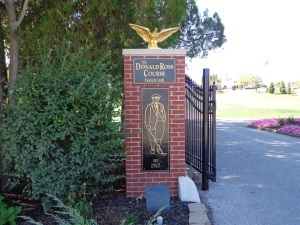 The Symetra Tour with today’s up and coming golfers starts on Friday July 7th and runs through the 9th on the Donald Ross Course, as part of the Donald Ross Centennial Classic. On Friday the 7th and Saturday the 8th, the Senior LPGA Pro-Am will be played on the Dye Course. With the Senior LPGA to tee of on Monday July 10th. The Sr. LPGA Championship will conclude on Wednesday July 12th. The Women’s U.S Open from Trump Bedminster will begin on Thursday the 13th, essentially having a week plus of days where all the women’s professional golf tours will be bridged together. Click here for the Sr. LPGA Championship media day interviews with Jane Blaylock, Jan Stephenson, and Michelle McGann. Who give their thoughts on the new Sr. LPGA Championship, and the long awaited for U.S. Sr. Women’s Open in 2018. (L-R) Lindsey Gahm Symetra Tour, Jan Stephenson, Michelle McGann, and Jane Blaylock. Photo by Joy Sarver. The Pete Dye Course adds the new championship to it’s list of other championships contested there. The 2015 Sr. PGA Championship, the Big Ten’s Men’s and Women’s Conference Championships from 2012 to 2014. The 2010 PGA-PPNC club professional championship, and the Legends Tour event from 2013 to 2016. Women’s golf history in French Lick reaches back to 1957, when the late Louise Suggs won the French Lick Women’s Open on the Donald Ross course. In 1959 Betsy Rawls won the championship followed by Mickey Wright in 1960. The sponsor from the championship is the famed Riley’s Children’s Hospital and Foundation. Tickets are $15 for adults, and Free for kids under 17. Tickets are valid for all three days of the championship, and can be purchased at Frenchlick.com/seniorpga. To visit the French Lick Resort, please visit Frenchlick.com. You can come enjoy golf on three of the resorts golf courses. 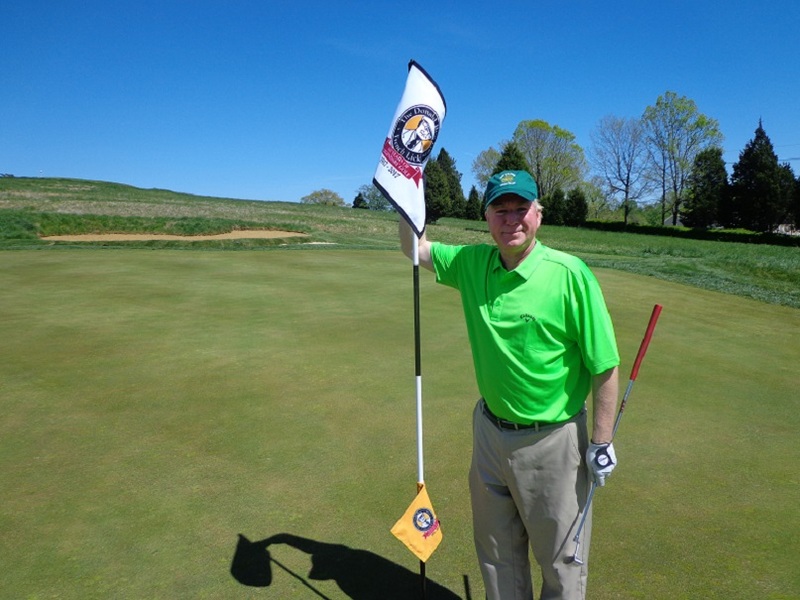 THE GOG BLOG by RORY SPEARS, Editor and Director of Content, Follow Rory on Facebook, Linkedin and Twitter @GogBlogGuy and to the French Lick Resort. It’s always a good time in golf when something new comes along, and in women’s golf something new is headed to the first tee at the French Lick Resort. This July the Sr. LPGA Championship, the first ever senior women’s major championship will start a new chapter senior women’s golf. Today is media day at the French Lick Resort, and the gathered group will find out more about what’s to come. The is a Symetra Tournament on the front end of the Senior Championship that will help build the bridge between the two groups. Some LPGA players could play in a pro-am that runs in between the two championships, but more to come after today. TIGER WOODS, is done again for the year after his fourth back surgery, that and four knee surgeries his camp admits he had, some say as many as eight. The real question is Woods done for good. I would say not yet, but if this surgery doesn’t get it done, then it will be time for him to call it quits. If the surgery takes hold, Woods might compete for a title on the PGA Tour in the right event on the right course. But another major does seem out of the question. PARS UNDER THE STARS, clubs looking for a fun event should try and put together a night golf evening with glow in the dark golf balls. While I have not played in one of the recent events, I did try this one night while in high school on the course where I worked in Prospect Heights, Rob Roy. The game for our group didn’t last long, because we ran out of painted glow in the dark golf balls. But it was fun while it lasted. 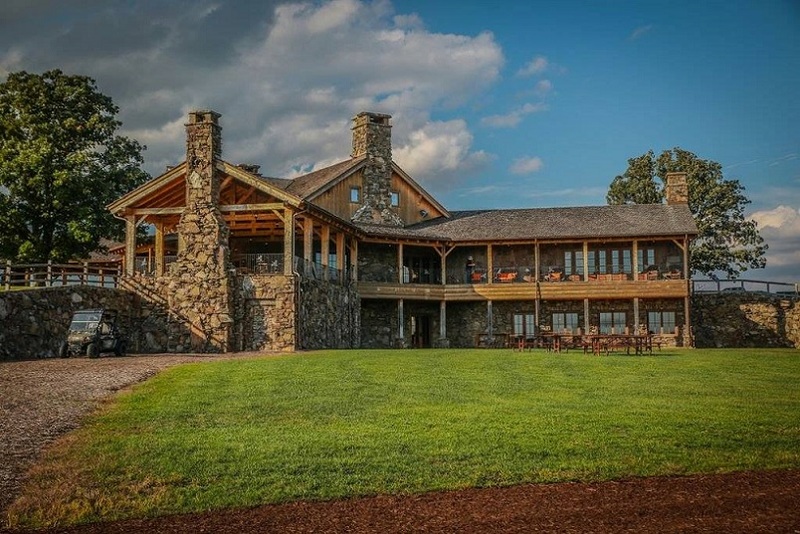 Foxford Hills in Cary is having such a night on May 13th, it runs from 5:30 Pm to 10 PM you need to sign up by May 5th, and to do so call the pro shop at (847)-639-0400. ICYMI.. if you missed Golfers on Golf Radio last Saturday morning, Jim Richerson the Director of Golf at Kohler, who also serves as the national secretary of the PGA of America, and now a rules official at the Masters joined us. Among all the good stories and information that Jim had for us, he did remind us that all the courses in Kohler are now open for the season, including Whistling Straits. See Destinationkohler.com. DEMO DAY at Cog Hill comes up this Saturday starting at 9 AM, all the major golf companies will be present, come check out all the new equipment. Discounts on club purchases if you buy that day after getting fit. THE GOG BLOG by RORY SPEARS, Editor and Director of Content. Follow Rory to Medinah Country Club, the Illinois Patriot Day Golf Outing on May 30th. The Medinah Country Club is close to finishing up it’s Course #2 restorations, as the course will reopen for play to the membership in June. While the historic Tom Bendelow design will now have a modern but classical style to it, it will have something else. That something else is called “Golf for Life”, it’s system that lets golfers regardless of their skill level, a theater to improve their game in. The key to the program is the addition of tee boxes on each hole, so that each hole will now have seven. This gives the club the option to try out various new events and programs. A look at the new style golf hole on Medinah’s #2 course. The Golf for Life program was created by Medinah Director of Golf Marty DeAngelo. Each Medinah member can meet with a club professional for a game evaluation, and then start a system that will help them improve. 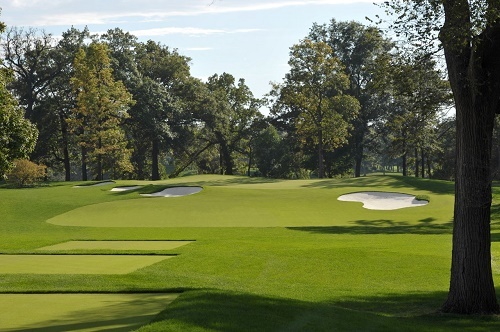 Medinah Course #2 has been closed for over a year, to give the course a design that is in touch with today’s game. The project did not change the course routing or topography and total fairway space has increased from 21-34 acres. Some fairways even connect with fairways on other holes, something not seen that much today, but not uncommon during the building of courses during the classic style era of 100 years ago or more. In recent years Medinah’s other two courses #1 and #3 have both been restored in recent years as part of the clubs ongoing improvements. Course #1 was renovated by architect Tom Doak, and Course #3 by Rees Jones prior to the 2012 Ryder Cup. The club has been improving other sections of the club as part of it’s 2020 Plan. For more information on the Medinah Country Club, please visit Medinahcc.org. Golfers on Golf Radio, brought to you in part by the KPMG-PGA Championship at Olympia Fields from June 29-July 2. Golfers on Golf Radio returns for week #2 today at 9 AM on Am 750 WNDZ. Our guests this week include Greg Billie from the Illinois Patriot Education Fund, that will be hosting it’s annual charity golf outing at Medinah Country Club on May 30th. Illinoispatriot.com Support our Illinois Veterans. Jim Richerson the Director of Golf at Kohler Company, joins us to talk about everything golf and more in Kohler Wisconsin. The Kohler Beer fest is next weekend. 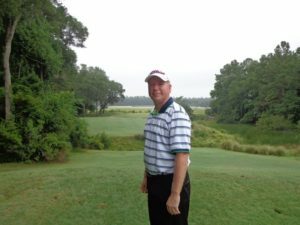 Richerson is now the PGA of America’s national secretary, and recently served as a rules official at the Masters Tournament. 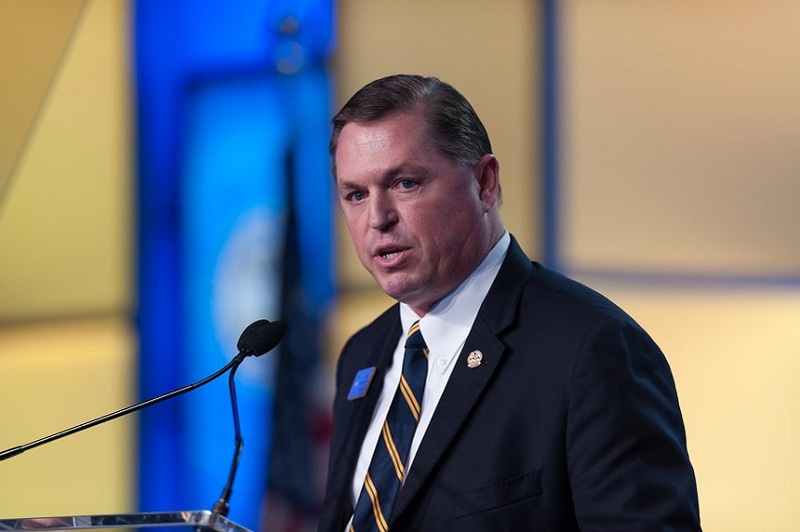 Jim Richerson of Kohler Company and National Secretary of the PGA of America. The Ben Hogan award will be presented at a Black-Tie dinner at the Colonial Country Club on May 22nd, during the Dean and Deluca PGA Tour event. Semi-finalists for the award include both Dylan Meyer and Nick Hardy from the University of Illinois Men’s golf team. On Wednesday May 3rd the field will be trimmed to the three finalists who will attend the dinner. ILLINOIS WOMEN are in 7th place at the B1G Ten Conference Championship tournament at TPC River bend in Ohio. Better news for Northwestern Women who are leading the championship by 3 strokes over Wisconsin. ILLINI Men playing in the Ohio State Invitational today and tomorrow. KEMPERSPORTS and the Kemper Club announced the dates for the fourth annual KemperClub Championship. The annual event takes place September 2-4, on two championship courses, including 2015 U.S. Open site Chambers Bay, and the Home Course home of the 2014 USGA Public Links Championship. For further information call (877)-29-LINKS or see Kemperclub.com. PURDUE UNIVERSITY needs volunteers for it’s upcoming NCAA Men’s Golf Regional from May 15-17. Volunteer sign up at www.purduegolf.com/2017-Regional-2.html. FOXFORD HILLS is back with it’s Glow in the Dark, “Par’s Under the Stars.” It will be held on May 13th from 5:30 to 10:00 PM. Deadline is May 6th, cost is $70.00 per player and comes with a tasty Italian dinner. Call (847)-639-0400 to sign up. GOLF 20/20 recently had it’s day at the state capital of Florida in Tallahassee. Golf’s impact on the state of Florida was reported in 2015, that in 2013 the number was up to $8.2 Billion up from $7.5 in 2007. The golf industry in Florida supports 132,000 jobs and 43.6 Billion in wages. Floirda is home to over 1,000 golf courses, more than in any other state. More information at Golf2020.com or wearegolf.org. We are live at 9 Am, join us then on Am 750 WNDZ-Chicago. The Gog Blog by Rory Spears, Editor and Director of Content. Follow Rory to Myrtle Beach and on Facebook, Linkedin and Twitter @GogBlogGuy. Bass Pro Shops Founder Johnny Morris has decided when it comes to golf, he will keep on building more courses. In Southwest Missouri in the suburb of Ridgedale, (Branson) Morris announced his intentions to create a public golf course in a partnership with the family of Payne Stewart. The golf courses will be designed by the firm TGR Design, owned by Tiger Woods. With Woods on the shelf from golf for the rest of 0217, after his fourth back surgery in three years, Woods now has time to roll up his sleeves and work on course design projects. 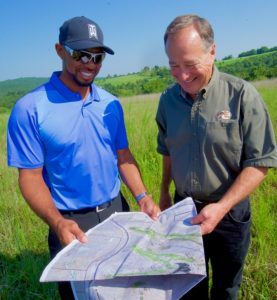 Tiger Woods and Johnny Morris look over a set of plans for a new course in the Branson Mo. area, at Big Cedar Lodge. Morris is working to make Big Cedar Lodge another one of the “Great Golf Destinations” in America. 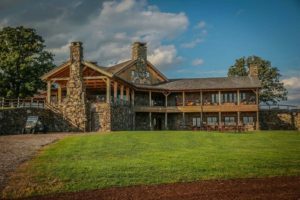 Big Cedar Lodge will be a destination for fisherman and those who enjoy a variety of shooting experiences. In addition to working with Woods on an 18 hole public course, there will also be a par-3 short course that will be created. The golf course is scheduled to open in 2019, and will be named in honor of the late Payne Stewart. The official name for the new course will be Payne’s Valley. 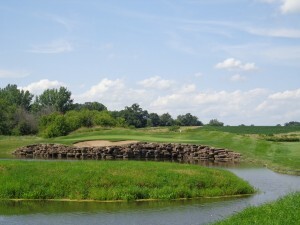 The course will have a 19th hole, called “The Rock” to help settle any wagers. The Rock was created by Morris and will be created in a dramatic geological area. The Payne’s Valley Course is to honor Stewart’s legacy, both Payne Stewart and his father Bill Stewart were a large part of growing golf in the area. Morris is working with both Ben Crenshaw and Bill Coore in designing the Payne Stewart Learning Facility, that will be part of a Payne Stewart museum filled with many artifacts from Stewarts career. Big Cedar Lodge is located on the shores of Table Rock Lake, and is only 10 minutes from the modern newly created Branson Airport. For more information on all the golf courses being built in the area, please visit BigCedarLodge.com or visit Branson.com or ExploreBranson.com. THE GOG BLOG by Rory Spears, Editor and Director of Content. 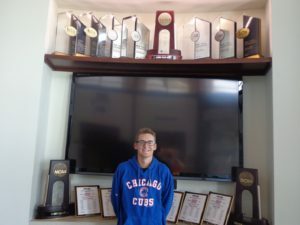 Follow Rory to Rich Harvest Farms for the NCAA Championships from May 19-31, NCAA.com/Tickets or on Facebook, Linkedin and Twitter @GogBlogGuy. Tiger Woods on Thursday announced through his website that he has undergone his fourth back surgery. The recovery time from this surgery is at least six months. As a result Woods is done from tournament golf through at least the end of October and now probably longer. While it’s not 100 percent, it’s unlikely Woods will be seen on a golf course again in 2017. The announcement of his fourth back surgery, is coupled with his four knee surgeries that he and his camp have reported. There are some unconfirmed reports that Woods has undergone as many as eight knee surgeries. The four back surgeries have come since April of 2014, which equals four surgeries in three years. The Woods camp and the doctor performing the surgery, Dr. Richard Guyer of the Texas Back Institute called the surgery “successful”. However the other three surgeries, were all deemed successful as well. Steinberg said the grueling pain Woods was fighting, was when a nerve and a disc in Woods lower back were touching. The current fusion surgery is expected to put an end to that problem. Once Woods recovers from the surgery, he will begin a gradual rehabilitation process that once completed, should allow him to return to competitive golf. Woods did not play in the recent Masters Tournament, the years first major. A recent announcement showed that the Masters TV ratings were down this year, but that decline had no connection to Woods not competing.